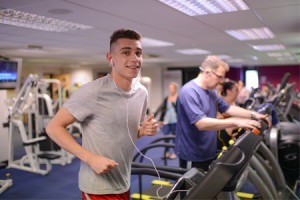 The Get Started programme is YMCA St Paul’s Group’s unique fitness programme, designed to support new gym members in getting the most out of their workout. All new YMCA gym members are offered the Get Started programme for free when they sign up. If booked as individual sessions, it would be worth over £100. A consultation to take measurements, set goals, and talk about the best way for you to achieve them. The instructor will take you through each piece of equipment to make sure you get the most out of your training programme and check that your technique is safe. To get you off to the best possible start, the instructor will work with you during a shadow workout. Eating and exercise go hand in hand. Learn more and have a healthy eating plan devised for you. Don’t forget to bring your food diary! Alternatively, you can opt for a second supervised workout. After 4 to 6 weeks, you should feel and notice the difference. The instructor will take your measurements and set the next stage of your programme. After you have completed the Get Started programme, there will be regular review days, when you can turn up and go through any part of the programme again. YMCA Surbiton, YMCA Hawker, YMCA Wimbledon. YMCA Walthamstow To find out more, contact your local gym. Before signing up as a member of our Health & Wellbeing services, please ensure you have read our terms and conditions.